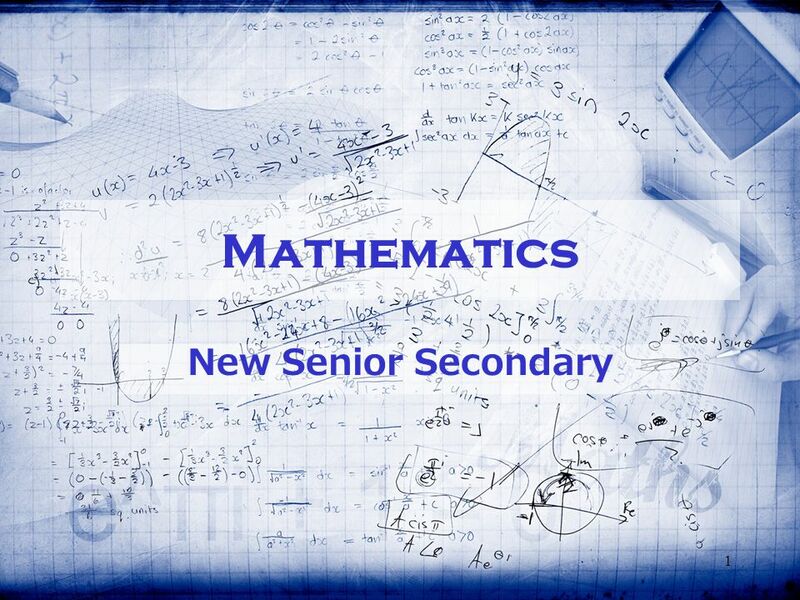 1 Mathematics New Senior Secondary. 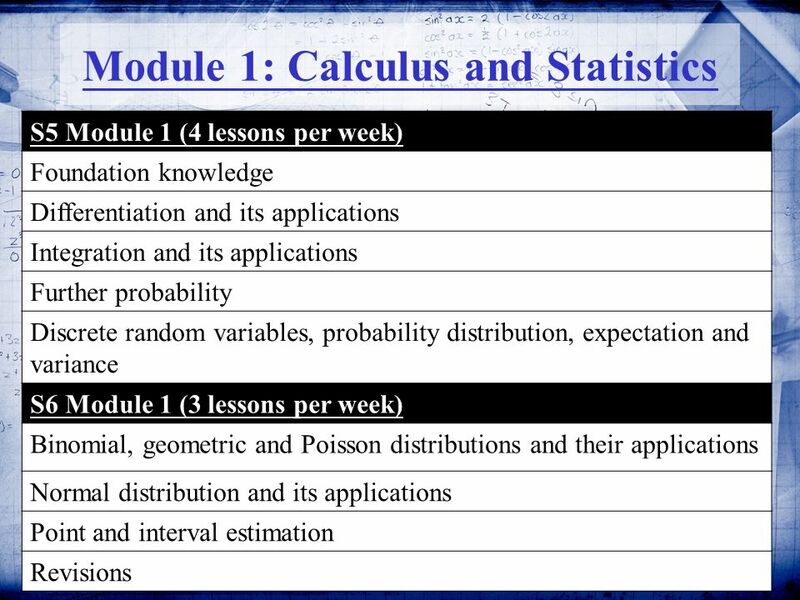 2 Mathematics Curriculum (S4-6) Module 1 Calculus and Statistics Module 1 Calculus and Statistics Module 2 Algebra. 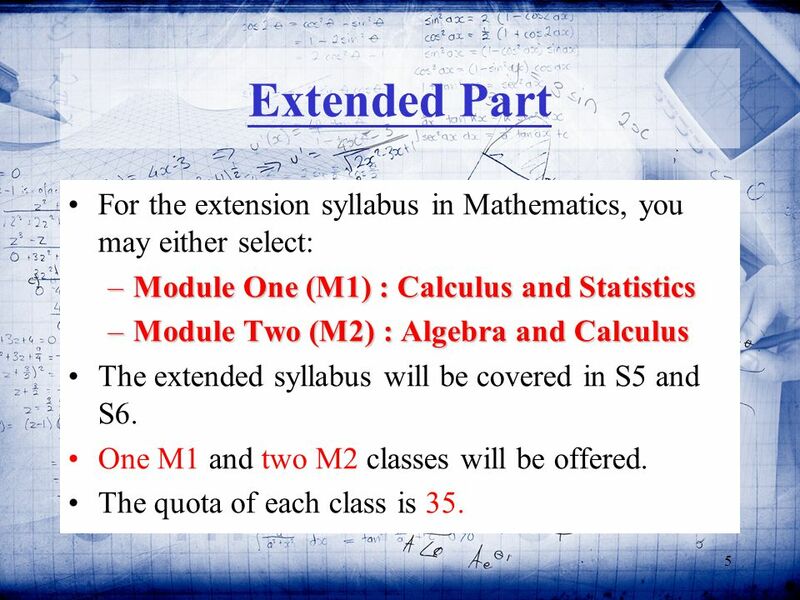 5 5 Extended Part For the extension syllabus in Mathematics, you may either select: –Module One (M1) : Calculus and Statistics –Module Two (M2) : Algebra and Calculus The extended syllabus will be covered in S5 and S6. 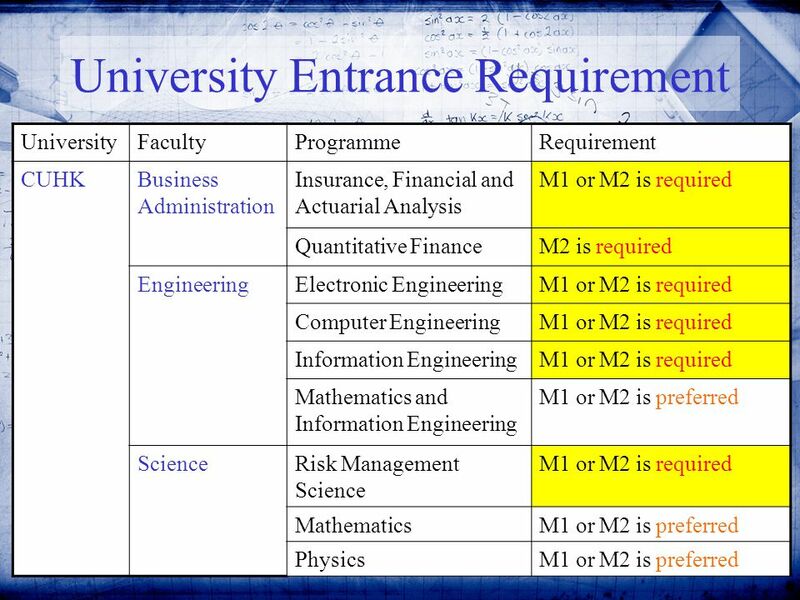 One M1 and two M2 classes will be offered. The quota of each class is 35. 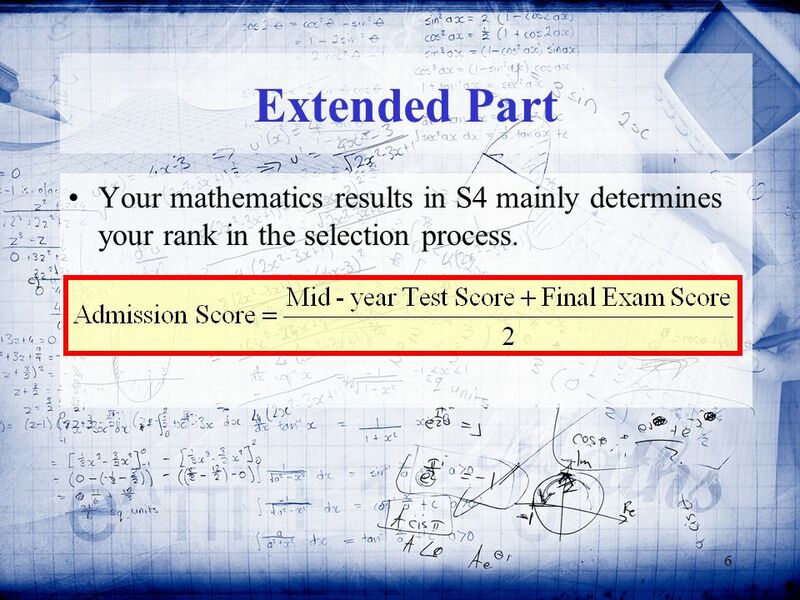 6 6 Extended Part Your mathematics results in S4 mainly determines your rank in the selection process. 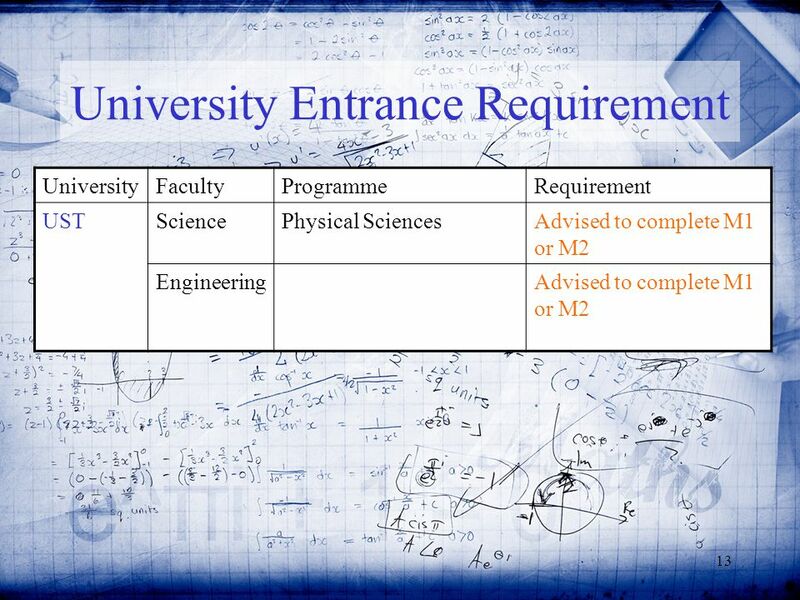 Download ppt "1 Mathematics New Senior Secondary. 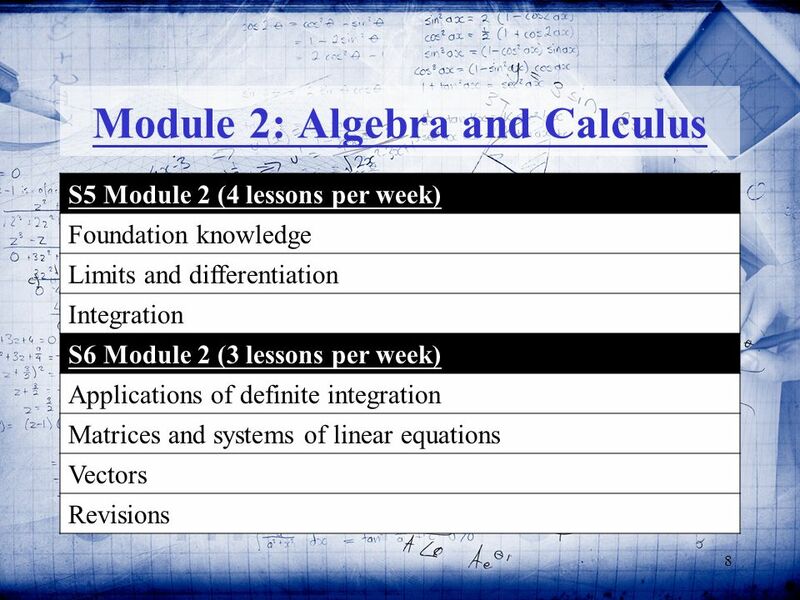 2 Mathematics Curriculum (S4-6) Module 1 Calculus and Statistics Module 1 Calculus and Statistics Module 2 Algebra." 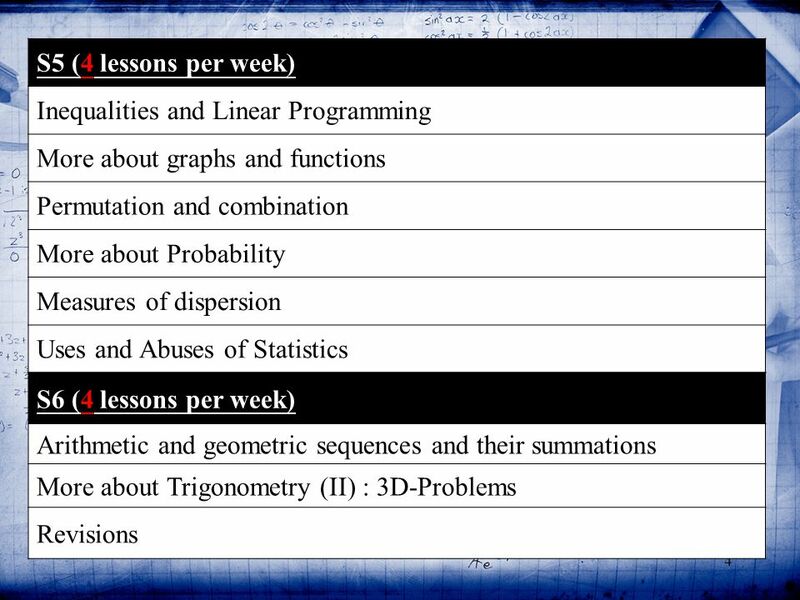 HIGH SCHOOL MATHEMATICS COURSE SEQUENCES. Albertas Kindergarten to Grade 12 mathematics program integrates current research and developments in learning. 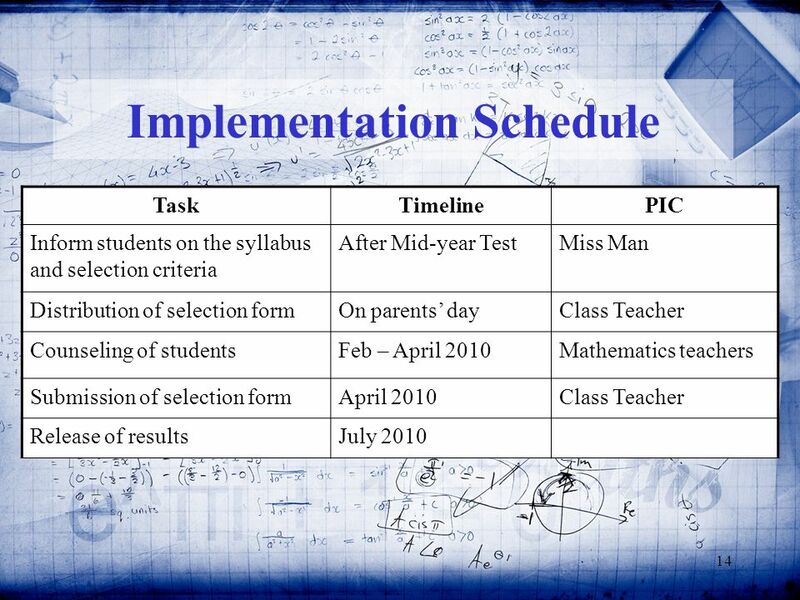 K The Common Core State Standards in Mathematics © Copyright 2011 Institute for Mathematics and Education Welcome to a clickable. 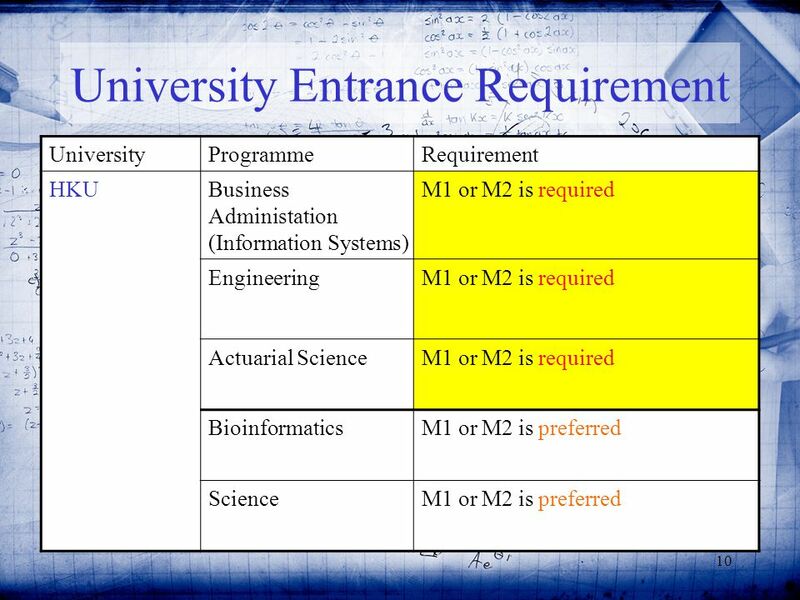 The draft curriculum. 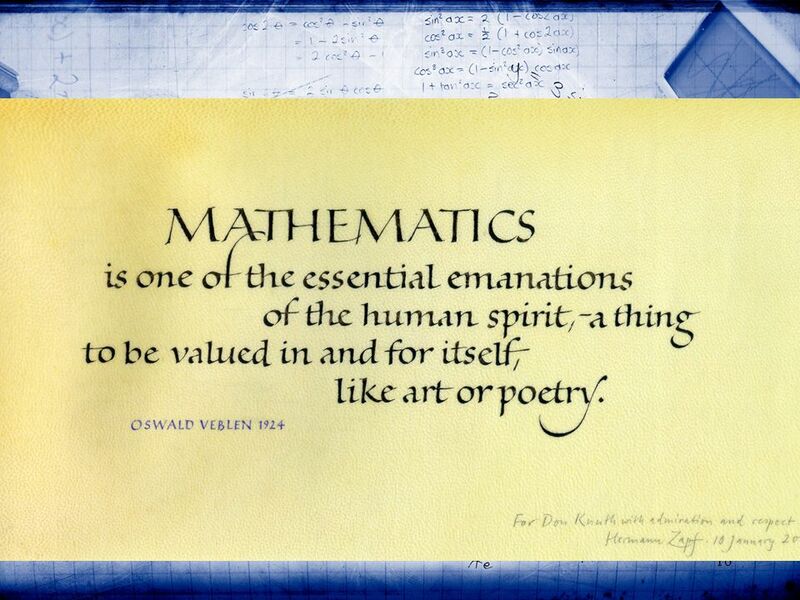 NSW General Mathematics Mathematics Extension 1 Mathematics Extension 2 Draft Australian Essential General Mathematical Methods. Advanced Algebra/Pre-calculus Advanced Functions and Modeling Math Analysis AP Statistics Statistics and Probability/Discrete Math. 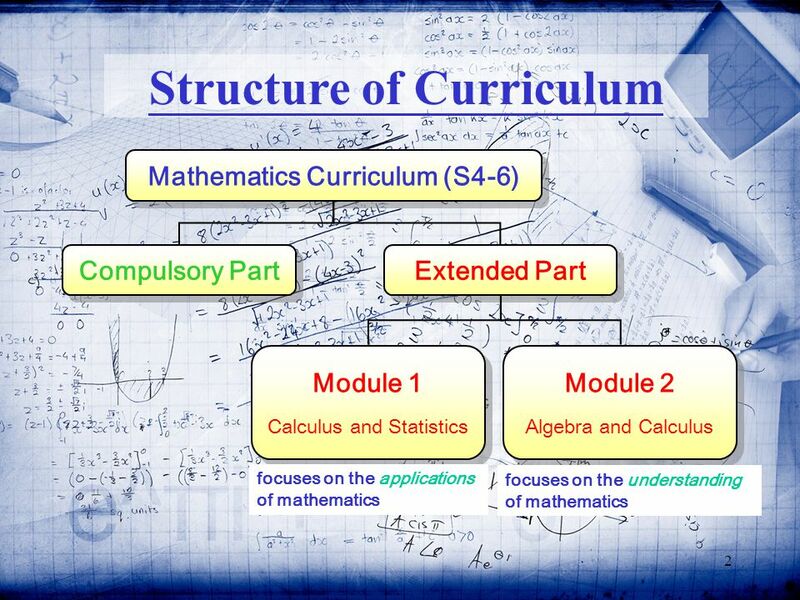 1 Extended Modules (M1 or M2) in Mathematics New Senior Secondary Mathematics Curriculum. Western Technology Center On Track 2011 Marie Knox & Jill Henderson. St Joseph’s Catholic High School Albion Park 2013 Preliminary Year Mathematics Wednesday, July 25, 2012. 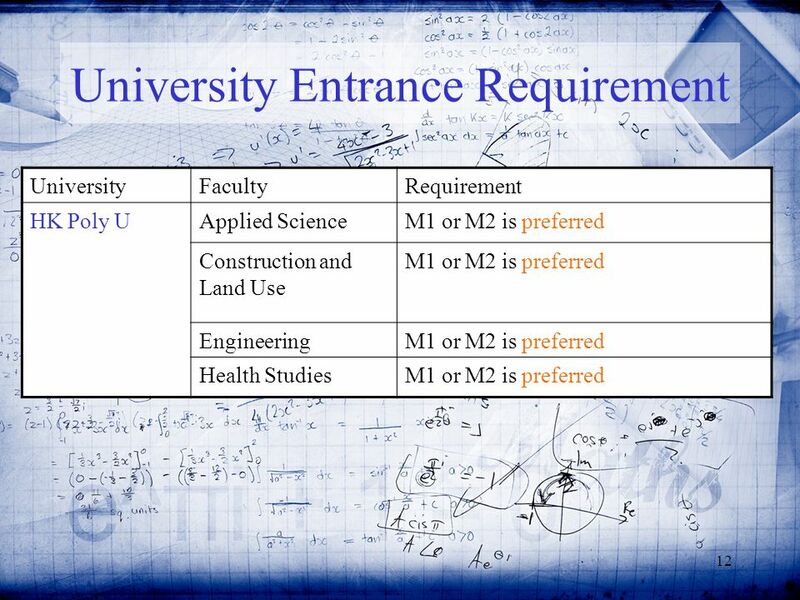 College Placement Test Click here to show College Placement Mathematics Video. 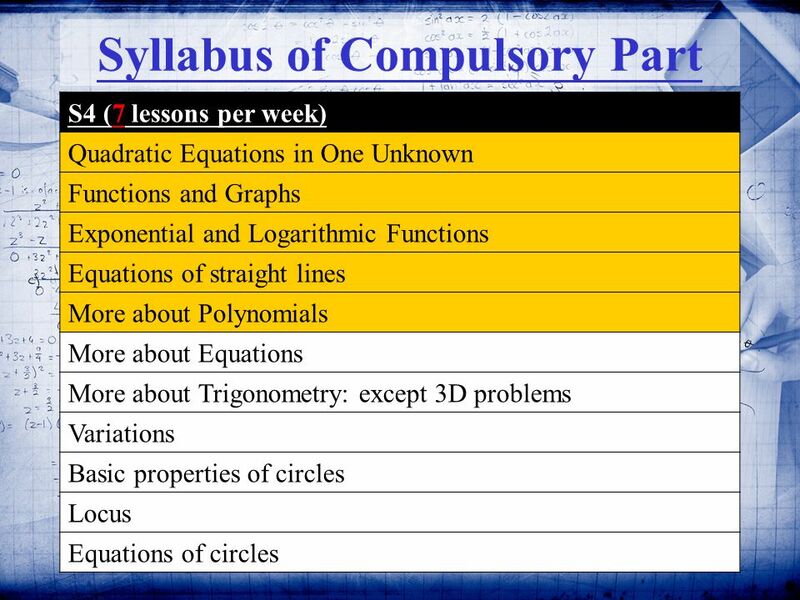 Mathematics Topics Table of Contents. 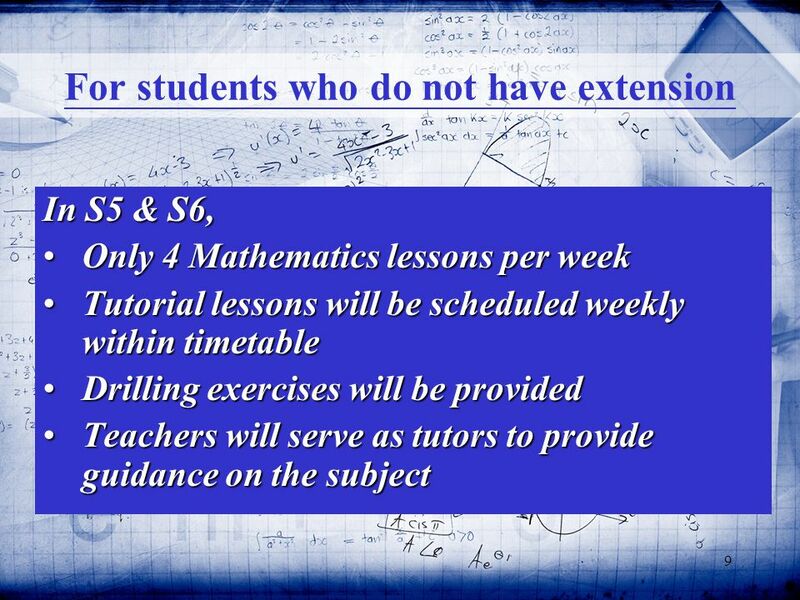 9/14/2013 Tables of Contents 2 How to Use Topics Main Topics Numbers Real Numbers Numbers and Data Numbers & Geometry. AL Pure Math Why Pure Math exists ? Content of the syllabus Public Examination Consideration for its pre-requisite (before F. 6) Consideration for its. 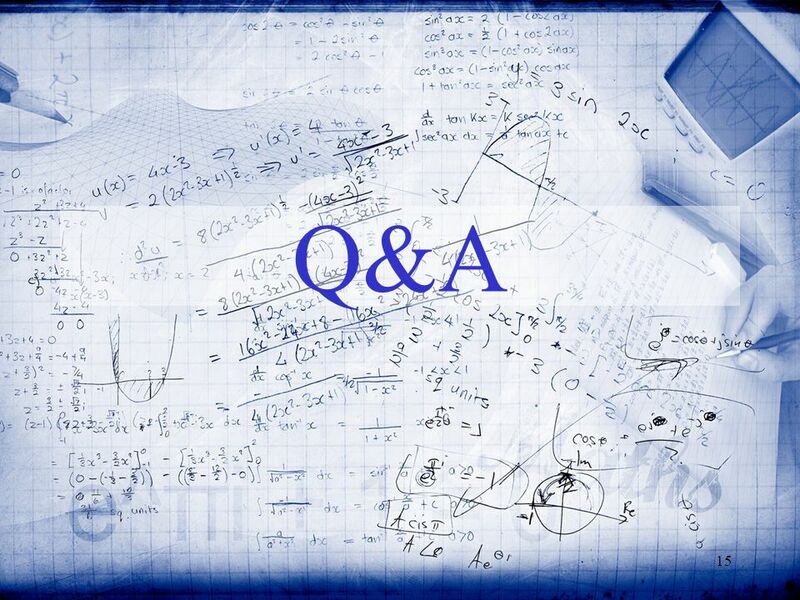 Probability and Statistics for Engineers (ENGC 6310) Review. Syllabus for Engineering Statistics Probability: rules, cond. probability, independence Summarising and presenting data Discrete and continuous random. Linear, Exponential, and Quadratic Functions. Write an equation for the following sequences. Table of Contents Unit 1	Inferences and Conclusions from Data Unit 2	Polynomial Functions Unit 3	Rational and Radical Relationships Unit 4	Exponential. Mr. John RozzoMr. Andy Lucas Mrs. Amy Pfender Assistant Middle School Math Principal of Superintendent Curriculum Leader Boyce Middle School.